Children at the orphanage in Kenya where local missionary Portia Williams visited. Williams speaking at an event in Kenya. Williams accepting a Certificate of Service from Gerald Mutembei and Boniface Kimathi of the Nairobi University Missionaries. For Portia Williams going to Africa for a missionary trip was something bigger. She recently went to Nairobi, Kenya to spread the word of God there and said she was welcomed with open arms. She spent a great deal of her time at an orphanage, the Bethsaida Children’s Home, where she said these children had nothing but still “had the joy of the Lord in their hearts.” She said to see the expressions on the faces of the 33 children there was rewarding considering their circumstances were so challenging. “It’s unbelievable what that pastor is working with to provide for 33 children,” she said. “They had no where to go.” She said the pastor at the home is using his father’s inheritance to pay for the children’s home there. Williams said Rev. Nyagah actually has local ties to Portsmouth. His sister-in-law, according to Williams, is Evelyn Gitome, Chief Financial Officer of Compass Point Housing. She said Gitome helped her make all the connections for the trip. Williams said the big differences she had to adopt to was being seven hours behind our time. She said it took some time to adjust to the time change. She also said the diet there was a lot healthier than people here eat. She said they don’t eat the junk we are accustomed to eating. She said she is “Prayerfully” considering another missionary trip somewhere in the world in the next three years. She said she will find somewhere that needs “Hope and guidance,” and make the trip. Williams has been asked to return to Kenya in the future to speak at a conference. She said she may consider that offer and go back for a return visit. Pleasant Green Baptist Church has organized several missionary trips thus far, including Kenya, Nicaragua, Jamaica, and Brazil. She said the church intends to continue spreading the word of God across the globe, one trip at a time. 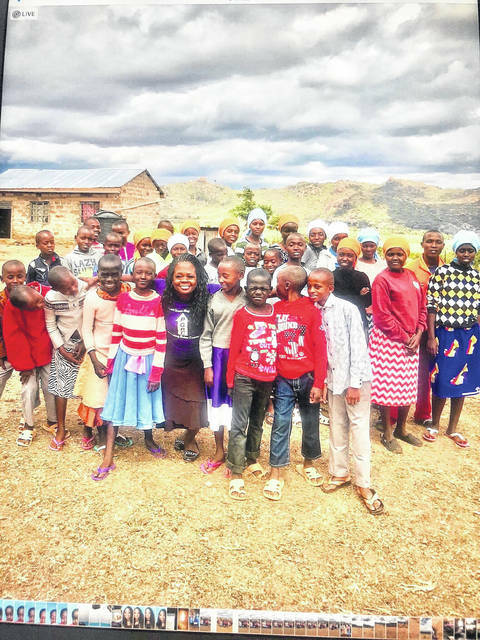 https://www.portsmouth-dailytimes.com/wp-content/uploads/sites/28/2018/11/web1_PORTIA2_ne2018119162459531-1.jpgChildren at the orphanage in Kenya where local missionary Portia Williams visited. 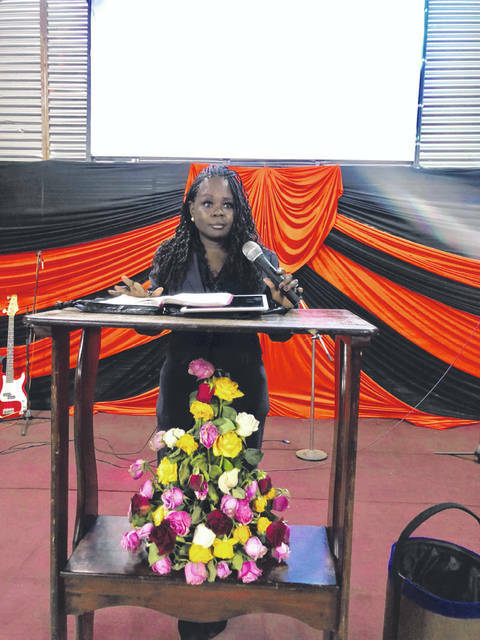 https://www.portsmouth-dailytimes.com/wp-content/uploads/sites/28/2018/11/web1_PORTIA1_ne2018119162521704-1.jpgWilliams speaking at an event in Kenya. 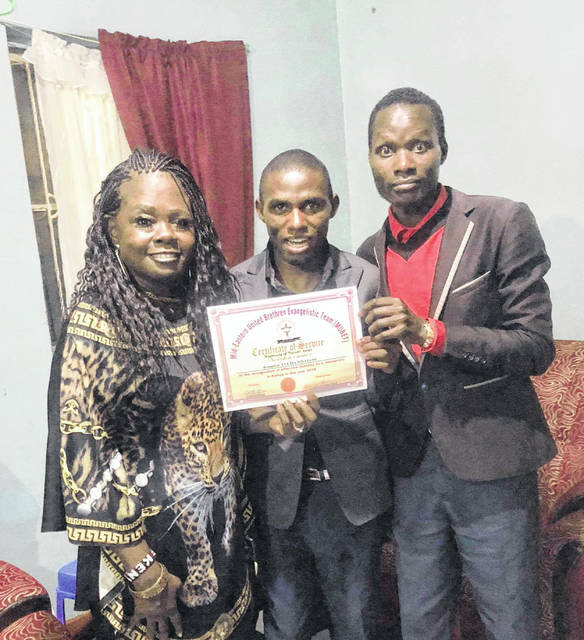 https://www.portsmouth-dailytimes.com/wp-content/uploads/sites/28/2018/11/web1_PORTIA3_ne2018119162527248-1.jpgWilliams accepting a Certificate of Service from Gerald Mutembei and Boniface Kimathi of the Nairobi University Missionaries.